Nearly 90% of drugs dispensed in the US are generic products. 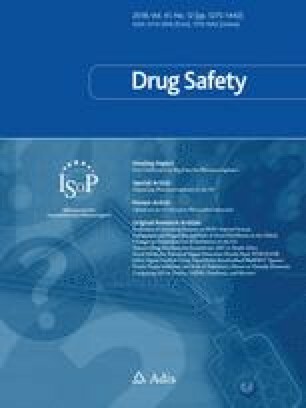 The aim of this study was to develop and implement a tool for analyzing manufacturer-level drug utilization and switching patterns within the US Food and Drug Administration’s Sentinel system. A descriptive tool was designed to analyze data in the Sentinel common data model and was tested with two case studies—metoprolol extended release (ER) and lamotrigine ER—using claims data from four Sentinel data partners. We plotted initiators of each brand and generic product over time. For metoprolol ER, we evaluated rates of switching from generics around the time of manufacturing issues. For lamotrigine ER, we examined rates of switching back to the brand among those who switched from brand to generic. We identified 1,651,285 initiators of metoprolol ER products between July 2008 and September 2015. We observed a large decrease in monthly metoprolol ER initiators (from 25,465 in December 2008 to 13,128 in February 2009), corresponding to recalls by generic manufacturers. We observed simultaneous increases in utilization of the authorized generic and brand products. We identified 4266 initiators of lamotrigine ER with an epilepsy diagnosis between January 2012 and September 2015. Among those who switched from brand to generic, the cumulative incidence of switching back was close to 20% at 2 years. Switchback rates were higher for the first available generic products. This developed tool was able to elucidate novel utilization and switching patterns in two case studies. Such information can be used to support surveillance of generic drugs and biosimilars. A comment to this article is available online at https://doi.org/10.1007/s40264-018-0739-y. The authors thank the Data Partners who provided data used in the analysis: Aetna (Aetna Informatics, Blue Bell, PA), HealthCore, (HealthCore, Inc. Government & Academic Research, Alexandria, VA), Humana (Humana, Inc., Comprehensive Health Insights, Miramar, FL), and Optum (OptumInsight Life Sciences Inc., Waltham, MA). The authors thank Timothy Glavin and Adee Kennedy for their assistance. The Sentinel program is funded by the US Food and Drug Administration through the Department of Health and Human Services contract number HHSF223201400030I. The views expressed in this paper are those of the authors and are not intended to convey official US Food and Drug Administration policy or guidance. The Sentinel program is funded by the US Food and Drug Administration through the Department of Health and Human Services contract number HHSF223201400030I. The views expressed in this paper are those of the authors and are not intended to convey official US Food and Drug Administration policy or guidance. Joshua J. Gagne has received salary support from grants from Novartis Pharmaceuticals Corporation and Eli Lilly and Company to Brigham and Women’s Hospital and is a consultant to Aetion, Inc. and to Optum, Inc., all for unrelated work. Jennifer R. Popovic, Michael Nguyen, Sukhminder K. Sandhu, Patty Greene, Rima Izem, Wenlei Jiang, Zhong Wang, Yueqin Zhao, Andrew B. Petrone, Anita K. Wagner, Sarah K. Dutcher have no conflicts of interest. This study was conducted within the Sentinel system and represents a public health activity under the auspices of the US Food and Drug Administration. Activities conducted within Sentinel are not under the purview of institutional review boards. Association for Accessible Medicines. Generic drug access & savings in the U.S. 2017. Available at: http://accessiblemeds.org/sites/default/files/2017-07/2017-AAM-Access-Savings-Report-2017-web2.pdf. Accessed 27 Oct 2017. MedWatch: the FDA safety information and adverse event reporting program. Available at: https://www.fda.gov/Safety/MedWatch/default.htm. Accessed 1 Feb 2018. Sentinel Snapshot of Database Statistics. Available at: https://www.sentinelinitiative.org/sentinel/snapshot-database-statistics. Accessed 1 Dec 2017. Sentinel Distributed Database and Common Data Model. Available at: https://www.sentinelinitiative.org/sentinel/data/distributed-database-common-data-model. Accessed 27 Oct 2017. Popovic JR, Dutcher S, Nguyen M, et al. Sentinel methods development project: identify and evaluate manufacturer-level drug utilization and switching patterns in sentinel. Available at: https://www.sentinelinitiative.org/sites/default/files/Methods/Sentinel_Methods_Manufacturer-Level-Drug-Utilization-Switching-Patterns.pdf. Accessed 16 July 2018. US Food and Drug Administration National Drug Code Directory. Available at: https://www.fda.gov/Drugs/InformationOnDrugs/ucm142438.htm. Accessed 27 Oct 2017. US Food and Drug Administration National Drug Code Directory. Available at: https://www.fda.gov/drugs/informationondrugs/ucm142438.htm. Accessed 16 July 2018. US Food and Drug Administration Warning Letter (08-ATL-13). Available at: https://wayback.archive-it.org/7993/20170112200220/http:/www.fda.gov/ICECI/EnforcementActions/WarningLetters/2008/ucm1048180.htm. Accessed 31 Oct 2017. US Food and Drug Administration. ETHEX Corporation issues nationwide voluntary recall of products. Available at: https://wayback.archive-it.org/7993/20170406121711/https://www.fda.gov/Safety/Recalls/ArchiveRecalls/2009/ucm128536.htm. Accessed 27 Oct 2017. Institute of Good Manufacturing Practices India. Wockhardt recalls metoprolol succinate for third time due to dissolution failure. Available at: http://igmpiindia.org/WockhardtrecallsMetoprololSuccinateforthirdtimeduetodissolutionfailure.html. Accessed 31 Oct 2017. Jackson I. Generic Toprol XL recalls issued following years of complaints. 2014. Available at: https://www.aboutlawsuits.com/generic-toprol-xl-recall-complaints-67011/. Accessed 31 Oct 2017. US Food and Drug Administration: FY 2015 Awarded GDUFA Regulatory Research Contracts and Grants. Available at: http://wayback.archive-it.org/7993/20171102212740/https:/www.fda.gov/downloads/ForIndustry/UserFees/GenericDrugUserFees/UCM469224.pdf. Accessed 16 July 2018. DailyMed.com. Label: lamotrigine tablet, film coated, extended release. Packager: Actavis Pharma, Inc. Updated March 30, 2016. Available at: https://dailymed.nlm.nih.gov/dailymed/drugInfo.cfm?setid=87beaf22-593d-4170-bb58-332c615ef90d. Accessed 3 Jan 2018.